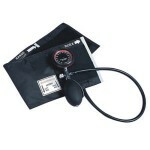 Here you will find blood pressure devices for both private and professional use. 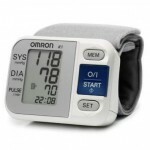 There are automatic blood pressure gauges in cheap versions for home use and more expensive versions with high precision and the possibility of many different cuffs. Our automatic blood pressure devices are clinically approved - clinically validated. That is, the apparatus has undergone a stardard test with regard to precision. At MEDshop.dk it is also possible to order a calibration check of your blood pressure device to make sure it is measuring correctly. 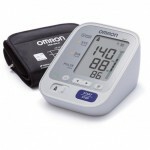 We have good and cheap blood pressure devices from well-known brands like Omron and A & D.
Our manual blood pressure gauges are typically used in medical clinics, hospitals or for the doctor's doctor. 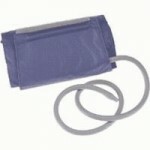 We also have a wide range of accessories for manual blood pressure gauges and for automatic blood pressure devices. There may be extra cuffs but also spare parts. Previously, you could get mercury sphygmomanometers . Today there are good precise alternatives to the clinic that ensure accurate blood pressure measurement.